For Welders, Welding Students, Welding Instructors and Others Involved in Managing Welding Operations. Understanding the fundamentals of how welding, particularly MIG welding, works and will assist in producing higher quality depositis and assessing welding problems. If you are using or planning to use MIG Robotics welding this information is essential. This program provides basic information to help welding students and welding supervisors understand welding process characteristics using math and science. Includes and Appendix with subjects like Reading a Ruler and Basic Math Functions. Received an Excellent Question From A Recent Welding Student Who is Working as a Welding Engineer and Watched Our, "Suggested MIG Gas Flow Settings" Video. He Wondered How and Orifice or Needle Valve Can Automatically Set and Adjust to the Proper Pressure to Maintain Consistent MIG Gas Flow? What Causes MIG Welding Wire to Melt? The second reason it melts is that current leaving or entering a surface, be it wire or hot puddle, requires a given amount of energy for the electrons to enter or leave that surface. This energy, generated at the surface, melts the already hot wire. 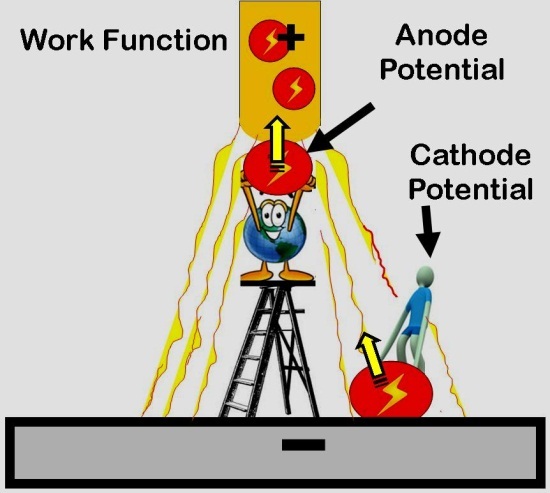 Therefore assuming Electrode Positive this is referred to as Anode Potential (also called Work Function and measures as voltage) and is equal to the Amps x Anode Voltage. These two energy sources cause the wire to melt. The first term (a x Amps) is the anode voltage times current and the second term defines the energy input due to resistance heating. One of the major implications of this relationship is that an increase in the stickout (at a fixed wire feed speed) amperage will decrease. That has a significant effect on another parameter, weld penetration. 3) The voltage drop across the resistive arc. With a fixed wire feed speed the amperage decreased from 200 amps with a 3/8 inch stickout to a low of 154 amps when the stickout was increased to 7/8 inches. 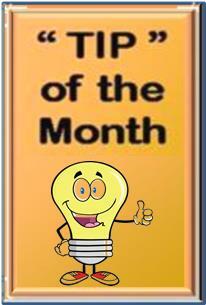 The resistance heating of the wire (the 2nd Amp2 term in the equation) is a very efficient heating process. Therefore the current needed to finish melting the wire as it enters the arc, becomes less as the wire is hotter with longer stickout. 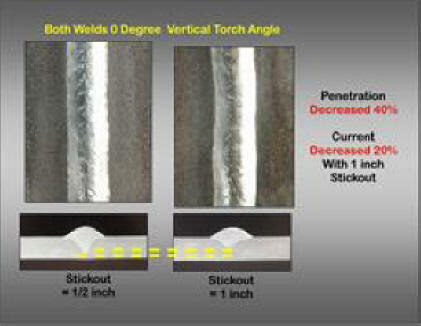 However there is a reduction in weld penetration when varying stickout in a normal range from 3/8 to 3/4 inches is 24%! If extended to 7/8 inches penetration decreases 29%. Therefore it is very important to keep the torch stickout constant. Also the shorter the distance from tip to work for a fixed wire feed speed the greater the penetration since current also increases. When welding in the short circuiting mode it is often desirable to use a long contact tip which protrudes from the shielding gas cup. This helps assure adequate penetration is maintained by keeping current higher. It also helps visibility so the welder can stay on the leading edge of the weld puddle. For the purposes of this exercise, weld penetration is a measure of how deep the weld penetrates in a bead-on-plate deposit. Have a different wire than the 0.035 inch solid wire used in this example? No problem. In fact not only changes in wire type and size but also shielding gas and torch angle will alter the actual value. You can generate your own constant K for what you are doing by making a bead-on-plate deposit, cutting a cross section and etching it. 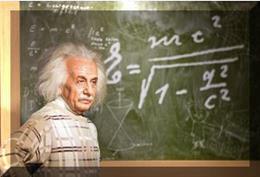 The above equations are designed to work within a practical range for normal MIG welding. There are much more elaborate equations that take into account the variable resistively of material with temperature, other arc effects etc. However within a range of normal operation the above approach will work adequately. As mentioned, you may need to develop your own coefficients. Make a weld, measure the depth of penetration and work backwards! That is what Clarence Jackson did with thousands of data points! Great book for welding students to also learn some welding math and science. Download PDF Overview of the Book with Contents Page and Several Pictures from Each Chapter. Welding is a hot topic in the hobby these days. For less than $500 a do-it-yourselfer can purchase a good quality welder and start laying beads or zapping in spot welds. This kind of accessibility to a once specialized skill is excellent for the hobby, and we encourage everyone with an interest to learn to weld. Just as important as buying the gear, however, is getting versed in the many different processes, techniques and materials used in all types of welding. A class at a local welding school or a community college is a good place to start, as is the purchase of a book like Advanced Automotive Welding, part of Car Tech’s SA Design series. Despite the “Advanced” in the title, the book is a good resource for beginning and intermediate welders. The author, Jerry Uttrachi, is a former American Welding Society President, with 40 years of welding experience, as well as a car enthusiast, and he writes in a clear, mostly jargon free style. The book covers all welding processes, as well as cutting processes, and includes insight into some car related welding projects. 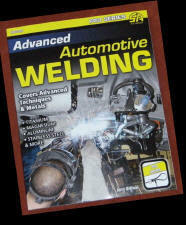 Advanced Automotive welding is a good addition to any budding or experienced metal worker’s shelf. Understanding the relationship between gas pressure and volume will help when setting gas flow and understanding MIG shielding gas use and waste. Or at a constant pressure, an increase in Temperature of 20% measured in degrees Fahrenheit yields only 3% increase in volume. For most welding purposes and over the range of production temperatures there is not enough change in Volume with gas Temperature to consider it significant. where the constants nR can defined based on the gas. We'll let you find details about the nR by searching the Internet since for our purposes ratio comparisons are all we need. The pressure needed in the gas delivery hose from gas source to welder/feeder to flow 30 CFH is 3 psi. A regulator/flowmeter is used that utilizes an 80 psi regulator. Therefore when welding stops gas continues to flow through the needle valve flow control until the pressure in the gas delivery hose equals 80 psi. Hose Expansion Causes More Excess Volume: Tests of a standard 1/4 inch diameter gas delivery hose showed it had a 13% increased volume due to the hose expanding with 80 psi pressure. Therefore 87% of the excess gas stored in the hose is due to the increased Pressure and 13% of the excess due to Hose Expansion. SEE MORE DETAILS. Excess Gas Blasts Out of the MIG Torch When Welding Starts: The high velocity creates turbulence in the shielding gas stream which takes several seconds to stabilize to a desirable smooth Laminar flow. 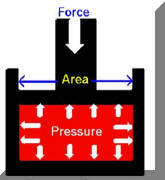 The turbulence pulls in air causing excess spatter and internal weld porosity. For a typical 5/8 inch diameter MIG nozzle more than 50 CFH flow rate causes this turbulent flow. For a smaller 1/2 inch diameter nozzle flow rates should not exceed about 40 CFH. Was This Welding Math Information Useful? What Other Math Would You Like To See? F REE Technical Paper Available Entitled; "MIG Shielding Gas Control and Optimization" (or Everything You Didn't Know You Needed to Ask About MIG Shielding Gas Control!) It Summarizes Key points in this Web Site and numerous Technical Presentations made in US and International Welding Conferences about the gas shielding problems and solutions. "..permission to use the wonderful materials you have produced on welding math and physics with the students here at our career and technical education center. As the science teacher at the center, I am always looking for ways to instruct key science and math concepts and skills in the context of the technical programs. When the lesson materials come from their field of study, it is more meaningful to the students for the direct application of science and math. In searching for materials on instruction regarding the use of the ruler, I came across your website, and shared it with our welding instructor, Mr. Greg Hutchison." We would like to incorporate your materials into our lessons." “Would it be possible for me to print out and share your welding math information with a specific student? He attends my school part-time and a trade school the remainder of the time. I thought I could make math more relatable to him because he is studying welding and is very interested in the subject. 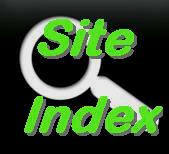 I really appreciate the information available on your site." "Thank you so much. Your site is perfect for what I need for my student." Calculate Weld Metal Volume for Any Weld Joint. Also Calculate Amount of Rod or Wire Needed to Fill the Weld. Joint. Click Here or ICON. Improve MIG Weld Starts and Have Shielding Gas Cylinder Last 2 to 3 Times Longer! Click Here.